For those looking to be the best. 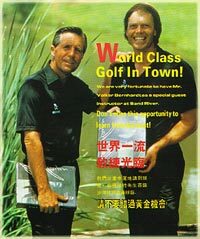 Victory in the German Junior Golf Championships in 1974 started Volker Benhardt's career and he found himself playing all over the world. First in the German national team, then as a pro golfer. The experience allowed him to meet and play with best players in the game. Through the mutual exchange of ideas with his colleagues at this top level Volker could not have a better place to learn. Through striving to be the best he had the honor of coaching South Africa's golf professionals and soon became Head Coach. For golf legend Gary Player Volker designed the Gary Player Golf Academy. A centre for the worlds top players. Still not satisfied being just Germany's top professional golfer, he studied the game of golf at a scientific level and received a doctorate for his work. 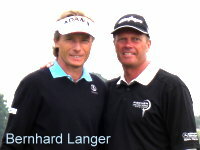 Since then, Dr. Volker Bernhardt is also known in the golfing world as "Dr.Golf". The successful concept of "Dr.Golf" is tailored to the individual needs of each player and always in relation to the three main areas: mental approach to the game, technical ability of the player and training approaches to personal fitness. Dr.Golf offers everyone the chance to benefit from his vast experience in teaching golf at a world class level. Come and have an individual lesson and see why he is recognised as one of the best coaches there is. "Dr.Golf" looks forward to your visit! 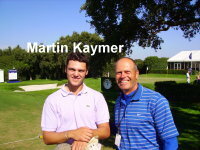 Martin Kaymer the no1 Pro in 2011 with "Dr.Golf"